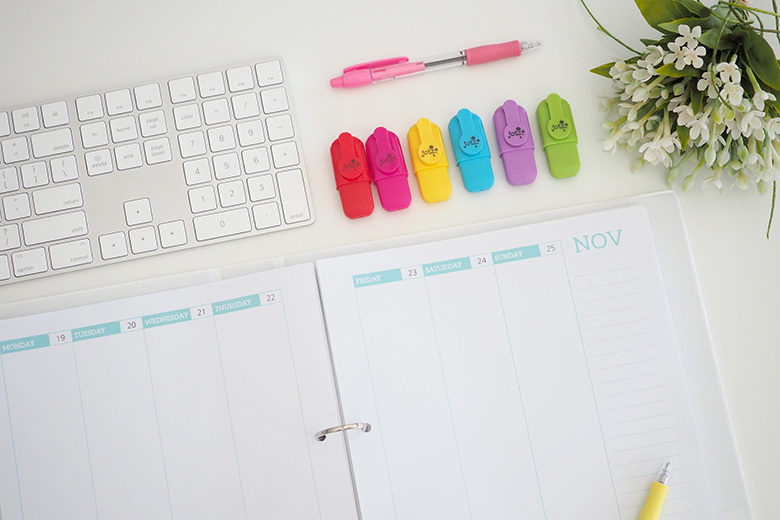 Looking for something to help you plan and manage your time? Over the years I have created a printable Daily Planner and Weekly Planner, which so many of you have enjoyed. 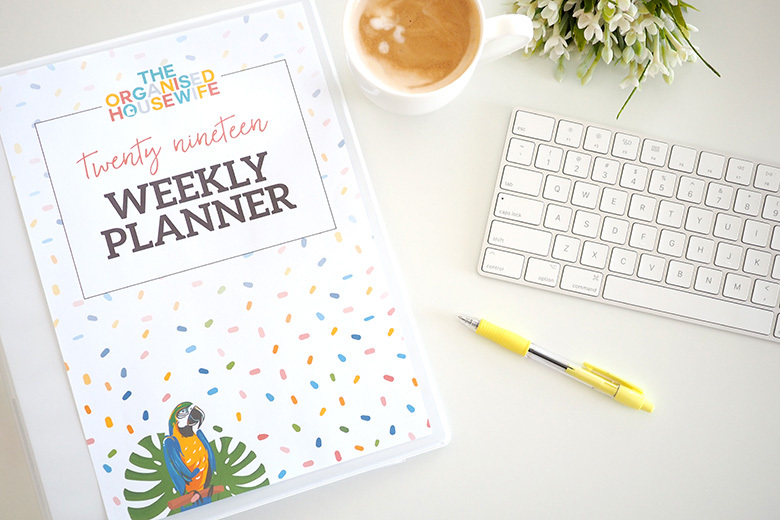 The 2019 Weekly Planner will help you to keep your schedule and weekly to-do lists organised. 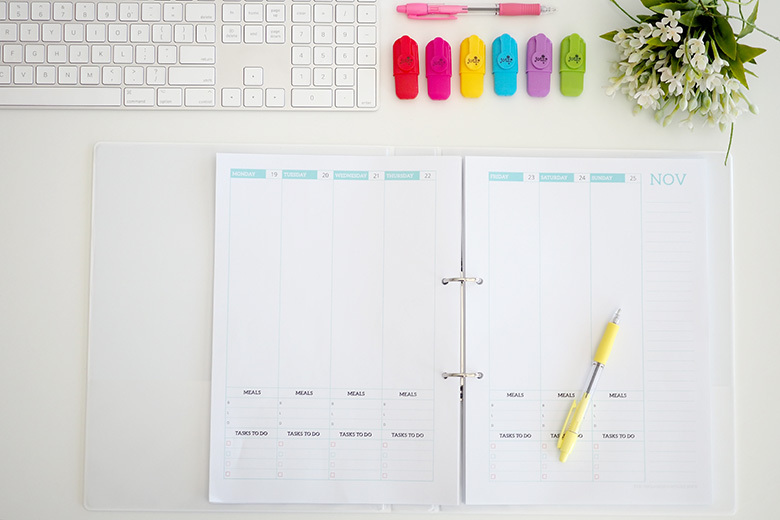 With one week to a view, you can easily see your weekly schedule, along with a list for each day where you can add in specific tasks like after-school appointments, exercise, home duties etc. And there is also an area for you to plan your meals for each day! 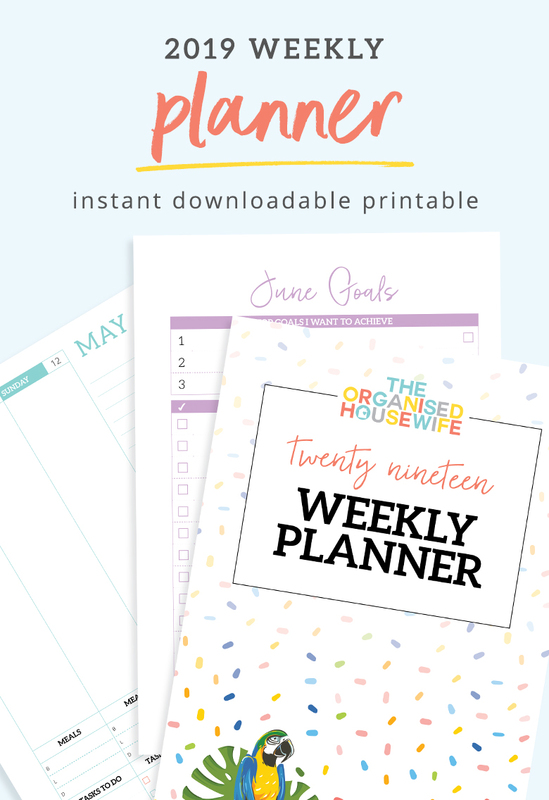 The Organised Housewife’s 2019 Weekly Planner is now available as an instant download and includes October-December 2018. For me, it’s about making it easy to glance at a full month so you can easily see upcoming events etc. And I’ve also included the week at a view pages so you can plan and balance your week. Meal planning is a vital part of eating a healthy diet and can also help you save money at the checkout and reduce food waste. 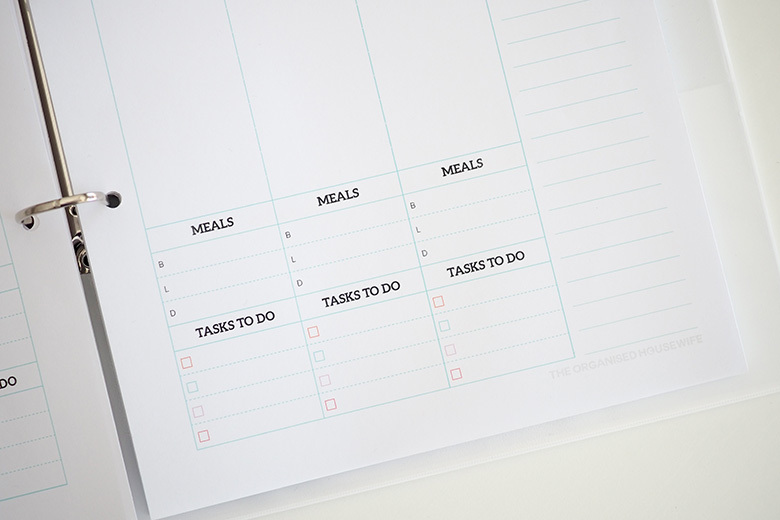 I include an area each day so you can plan what’s for breakfast, lunch and/or dinner. 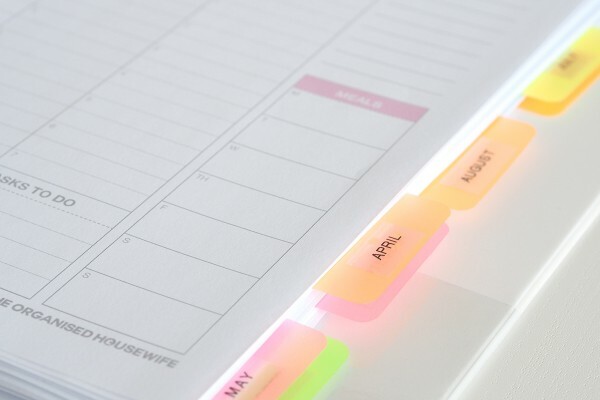 The to-do list is a fabulous way to stay organised. When adding in birthdays to your calendar you can write a to-do task a week prior to the birthday to post out the card, or add a reminder for when the pets need medications… so many possibilities. I am a BIG list person, I do a cheeky giggle every time I tick off a task! Ooh and I have also included a monthly goal sheet. You could put tabs on the pages where a new month starts, this is what I do so that I can easily find dates. I got these tabs from Officeworks. THIS IS A DIGITAL FILE – Please also note this product is an instant download file, you won’t receive a physical product. 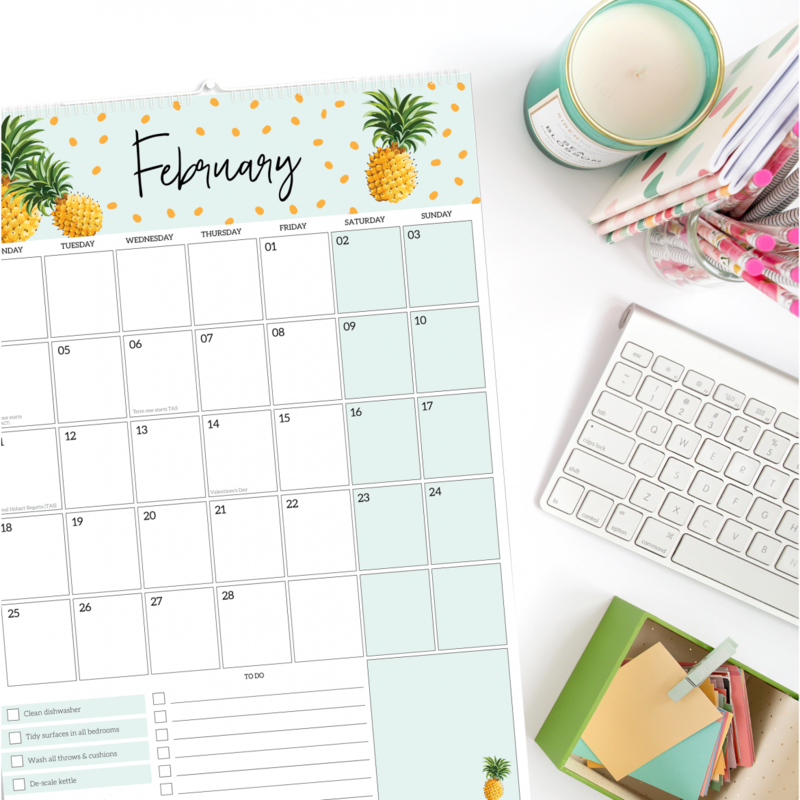 PRINTING – This planner is designed to print double-sided (you will need to tick the two-sided setting when printing and also choose the shrink to fit to ensure it prints within your printers default margin settings). 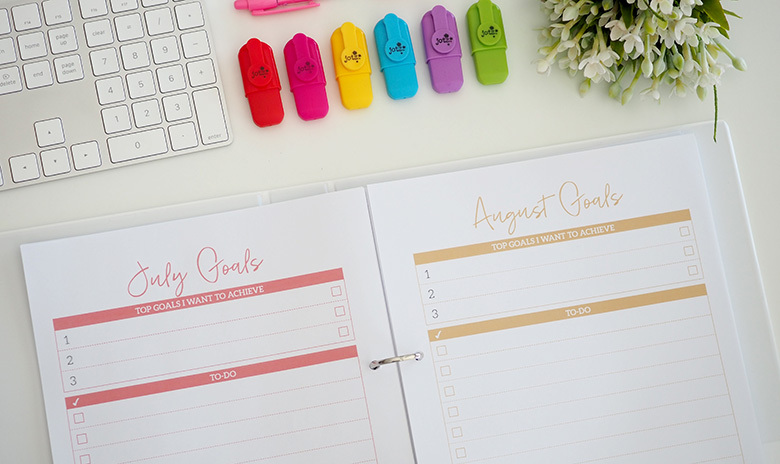 Print the cover page and place into an A4 ring binder (can be found at Officeworks and Kmart) that have clear pockets on the spine and front cover so you can slip in the planner cover and spine label. HOW TO PRINT AS AN A5 PLANNER – This planner is created as an A4 document, however, it can be printed to A5. This file is really easy to convert to A5. When printing chose “Print to A5” – you must have A5 paper in your printer. My printer won’t allow printing double-sided on A5, so I printed all the odd pages first (press more options in your printer settings to find the odd/even option), keep the pile as is, then turn your pile upside down and you will have the back of the first page, put this in your printer and print the even pages. 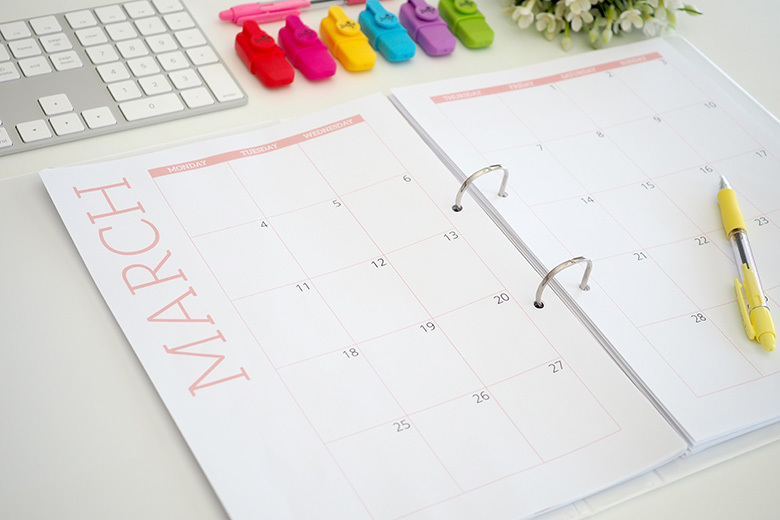 If printing one month at a time, put the print range from the first divider page of the month to the very last page of the month, even if it’s blank. ie November 2019 print range: 71-106. A weekly planner isn’t for you? Perpahs you’d prefer my 2019 Wall Calendar, it’s super pretty and nice and big for you to add all your appointments onto.